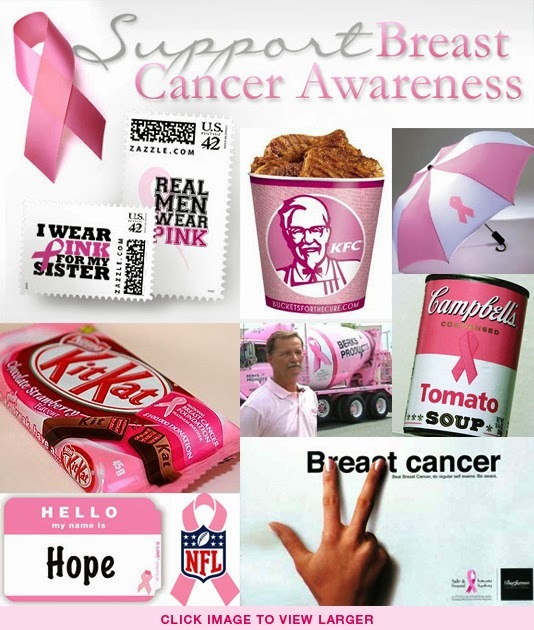 October is Breast Cancer Awareness Month where you see pink everywhere, from NFL players sporting pink wristbands to pink ribbons on various products. This effort and campaign started twenty-five years ago and is headed up by the National Breast Cancer Awareness Month Organization. 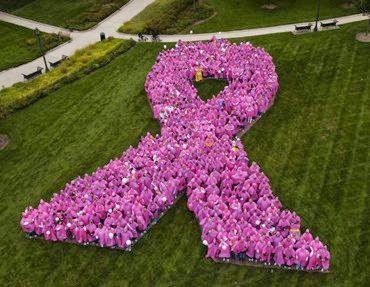 Great strides have been made over those twenty-five years to educate, prevent and treat women, but sadly science has yet been able to eradicate breast cancer. What's telling about this disease is that we can all probably name someone within our own circles that have been impacted. About 1 in 8 (12%) of women in the US will develop invasive breast cancer during their lifetime. Currently, there are more than 2.8 million breast cancer survivors in the United States (this includes women still being treated and those who have completed treatment). 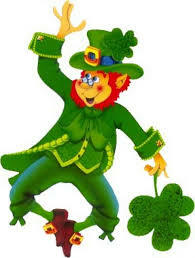 * The key that is starting to turn the tide is early decection. The NBCAM offers low-cost screening options on their website to help provide the medical services needed for early detention and promotes all women over the age of 40 have an annual mammogram. and donate a portion of their proceeds to this worthy cause. Having made a trip to our local grocery store yesterday, it was impressive how many companies are getting behind this campaign and can hopefully raise some very important funds to continue the research and education that have made a difference in the past decade. Although, it was confusing watching football with all the pink towels on Sunday because you couldn't tell when a referee was throwing a penalty flag or a player had inadvertently dropped a towel, it was worth the confusion to see the support of these big burly guys. It was even more incredible during one of the NFL's promotional spots to learn that a New Jersey woman, while watching the Jets game last October was reminded of the importance of breast exams. 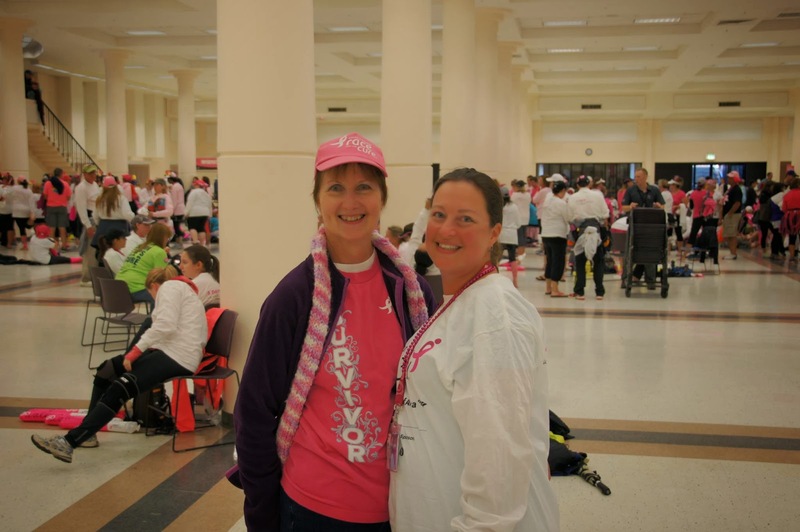 She made an appointment and was able to detect early enough for treatment that she had breast cancer. 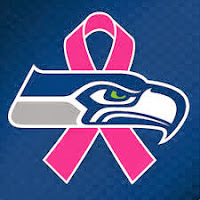 During October, the Seattle Seahawks are donating 10% of all pink ribbon merchandise to a local Bellevue non-profit, the Pink Daisy Project, which aims to support young women with their treatment journey. We asked our friend Karri what she found helpful from her support team while she went through chemo and her treatment journey. She said chemo was difficult and new for her, but also for her friends and family. They were shocked to see Karri lose her hair, and the patient found herself becoming the caretaker to help them accept this new look and battle. Having the chemo treatments left her bald, feeling nauseated most of the time and caused her to gain weight. She really didn't feel like socializing even though a lot of her friends offered to come visit or sit and watch movies. What Karri really wanted however, was very limited visits and for short amounts of time. Like many, it was hard for her to turn people away and ask for what she really wanted or needed. What she found the most helpful and supportive was people cooking good, healthy food for her and her family and just bringing it by, staying for a few minutes to say hi, but not lingering. Even in times of sickness, it's amazing the comfort that nutritious food made and shared with love gives. 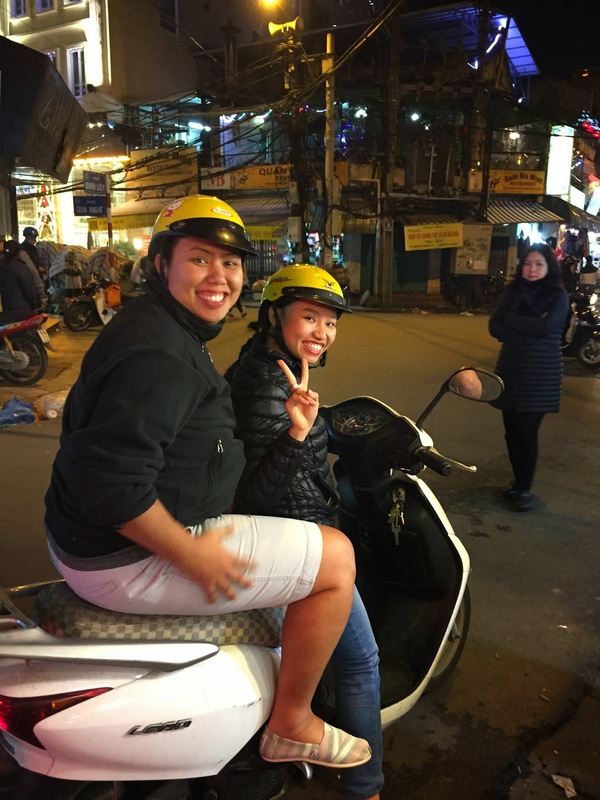 Sadly, while gathering information about this post and starting a draft, a former work colleague and friend was diagnosed with another type of the C word, leukemia. She and her partner are very strong people, but a diagnosis like this can test the strongest foundations. It's been incredible to watch their social network (work, personal, family and friends) team up to shower them with an outpouring of love and encouragement. This has seemed to go a very long way in keeping the patient optimistic and in touch with how many people are really cheering for her in the background. Jaime and Ferris have a long road ahead of them, but watching their unity in this tough time has inspired many of us around them. We are learning even little acts matter in this battle with cancer. Posting a message of hope to Facebook, sending a funny card, taking care of daily chores, giving rides to the hospital or even a small monetary donation to help with medical costs. Jaime's support team has set up a fundraising site Team Jaime to help organize donations for her medical care that will include a bone marrow transplant. 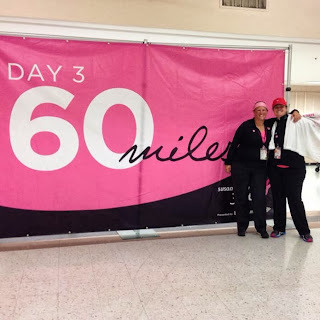 We had a couple of friends participate in the Susan G. Komen Three Day Walk to help raise money for further breast cancer research and education. Jennifer and her sister Tanya helped raise over $2,300. They were an inspired sister act determined to help this cause along, even though they are fortunate to not personally know that many people with the disease. They finished day one strong, #207 & #208 out of 1,100 walkers. The sixty miles however, took it's toll on Jennifer and her day three was cut short due to an infection from day two's blisters, which caused her leg to swell. To finish was the goal, but not really the point. Both sisters DID what they set out to do and that was to DO something to help fight this disease. Christina raised over $4,000 and walked in honor of her mother Edith who is a survivor. Christina was just seventeen when her mother told her she had been diagnosed with stage four breast cancer. Her mom had felt pain in her shoulder for months, but didn't think much of it until she found a lump and that's when she went to the doctor. This was Christina's first exposure to the disease and it couldn't have gotten any closer or more personal. Her mom has fought hard to still be here, and Christina realizes not everyone diagnosed with the disease wins this battle so she feels extremely grateful that her mom is here almost twenty years from the original diagnosis. Sadly though, Christina's life has been touched by too many people with a similar diagnosis. She really thought there would be a cure found by now. 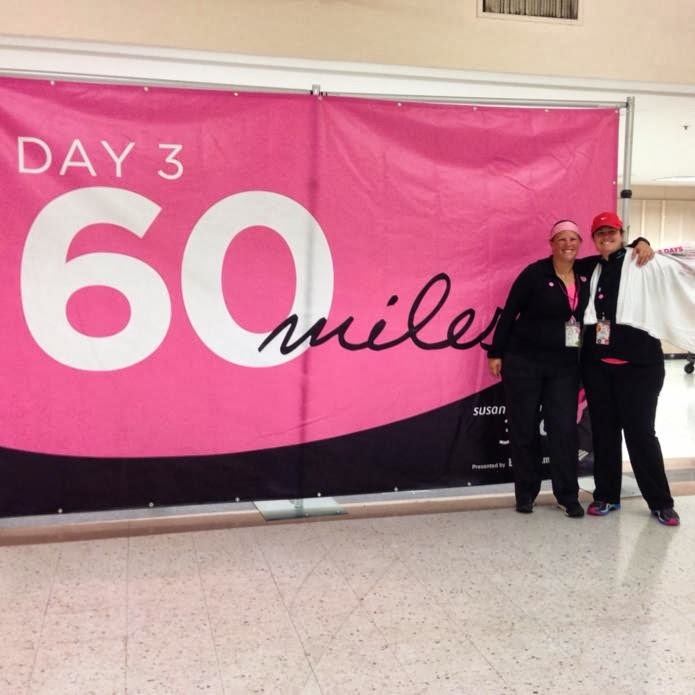 For all of these very personal reasons Christina chose to undertake walking 60 miles in three days. She mentioned how humbling it was to see people of all ages and predicaments (pregnant, undergoing chemo, etc.) participating in the walk to show their support. What she found amazing as well, was a group called the "walker stalkers." These were people not registered for the walk, but following the entire 60 miles to cheer and provide encouragement. There were people along the route that set up stands in their front yards with treats and water. Families had painted signs with words of encouragement and put them up along the walk route. Seeing these efforts gave Christina strength and determination as she walked because she knew these people were supporting the walk because their lives had been touched in one way by cancer. FloJo's mother also received a breast cancer diagnosis. You never forget the day, when the news is shared. The sickening, sinking, feeling that hits when the word cancer is uttered aloud. Luckily, it was detected early and removed. Her mom continues to get regular mammograms to ensure that it doesn't return and is proof that early detection saves lives. You just don't know what small or big effort is going to make the difference in somebody's life that has just been diagnosed, is battling the disease, living in remission or has a loved one they are caring for. The point is to DO-- do something even if it seems small and insignificant. Lets never take our health, blessings and lives for granted. *"What are the key statistics about breast cancer?" American Cancer Society, Last revised: 10/1/2013. Article accessed: 10/3/2013. If you'd like to donate to the cause please visit the Susan G. Komen website.